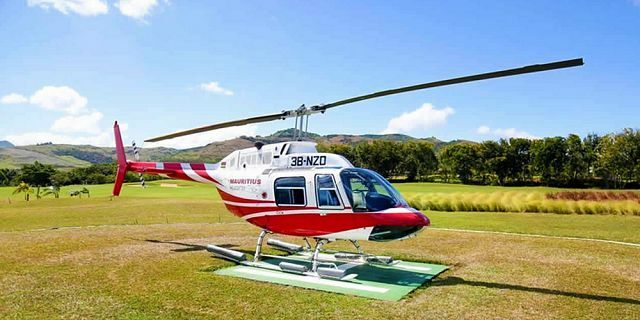 Discover the breathtaking coastlines and incredible islets of Mauritius with a memorable helicopter tour! 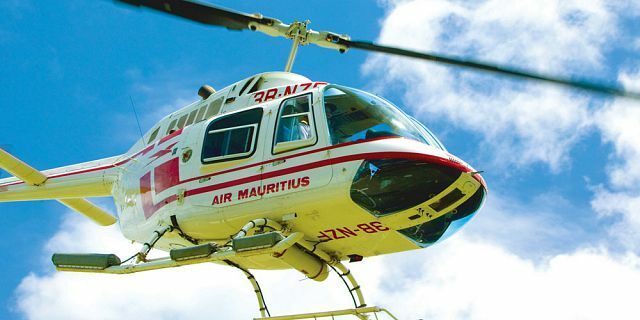 Experience an unforgettable sensation of air cruising along the coastal region of Mauritius in the comfy and reliable Jet Ranger to discover the wild eastern coast of Mauritius. Discover the awe-inspiring bird’s eye view over the incredibly beautiful coastlines and pristine islets of the paradise island through a helicopter tour- the best way for sightseeing! 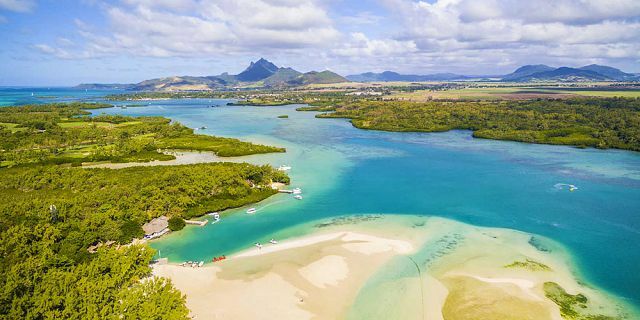 The coasts of Mauritius offer one of the most enchanting and scenic landscapes with white sandy beaches, glistening turquoise oceans, fascinating views of the coral reefs, rugged canyons & waterfalls, verdant sugarcane plantations, and unspoilt islets of the coasts which are undeniably beautiful. 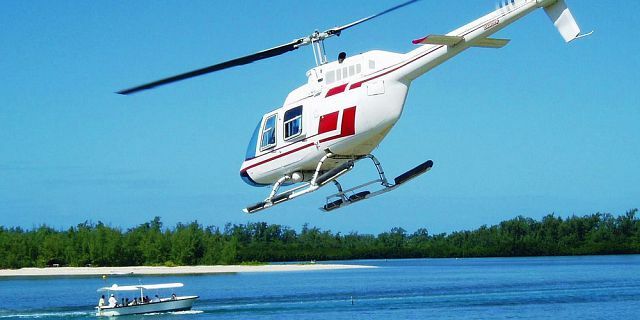 The Coastline and Islets helicopter flying tour consists of two options. Choose your preferred itinerary of either Route A or B for a wonderful sightseeing tour by air. 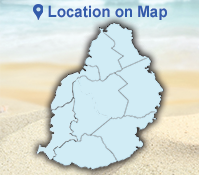 Route A is a 30 minute flight tour from airport where you will get to marvel at the eastern coast of Mauritius. As you fly over the eastern coast you will discover the historical Grand Port village with panoramic views of the landscapes dotted with colourful houses, and green plantations of the sugarcane fields. You will also spot the majestic Lion Mountain which is right across the bay, where you can feast your eyes on an eclectic shade of colours. 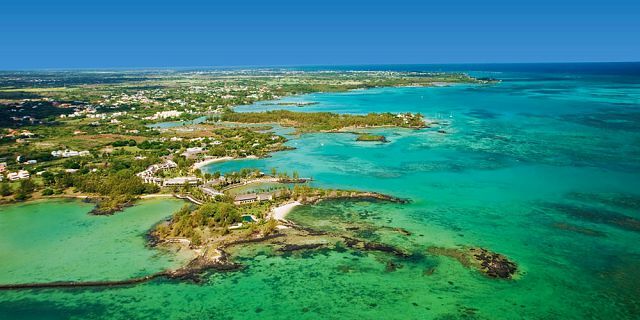 Experience the genuine facets of the eastern part of the island as you fly over the eastern coastal region where you will have the privilege to witness the beauty of the unspoilt islets such the historical Ile de la Passe where you can certainly spot old ruins of forts, the nature reserve of Ile de Aigrettes, where endemic animal and plant species live, and not to mention the lively Ile aux Cerfs where you can spot a golf course, hotels, and people indulging in adventurous sea activities. Grand Port: A historical town situated in the South Eastern coast of Mauritius where it is considered to be the first Dutch landing point during the colonial period. 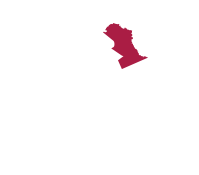 Lion Mountain: The Mountain is among the small mountain peaks in the area with a height of 683m overlooking Ile au Phare where the historical naval battle between the French and English took place. 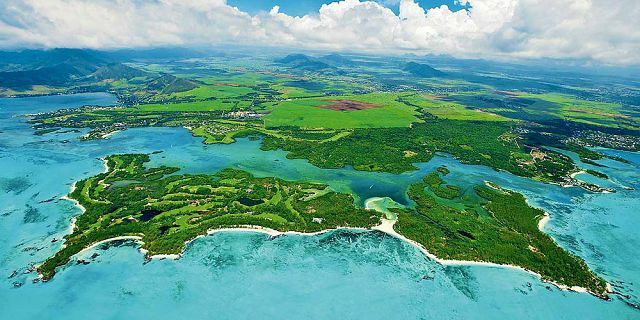 Ile aux Aigrettes: A nature reserve where endemic plant and animal species are bred. 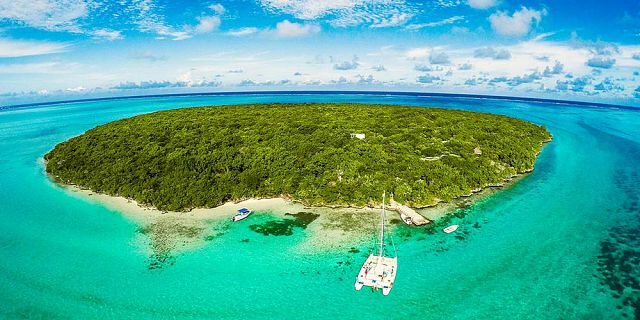 Ile aux Flamands: The virgin islet of the East Coast offers s sublime beach and an ideal spot to snorkel. 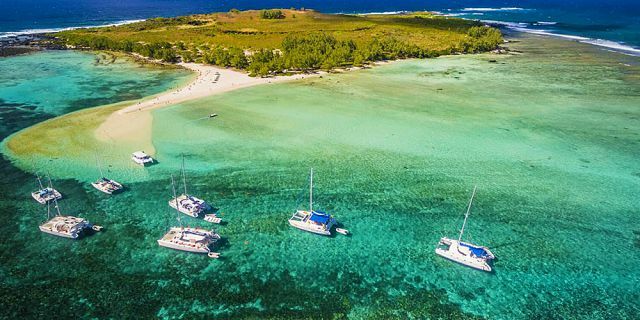 Ile aux Cerfs: The most visited islet of Mauritius is engulfed by turquoise blue waters and caters many adventurous sea activities. Ilot Mangenie: An unspoilt island which is nearby Ile aux Cerfs. 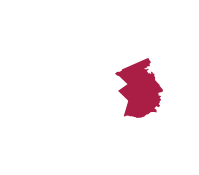 Summary: 45 minutes flight from airport along the entire East and North Coastline. 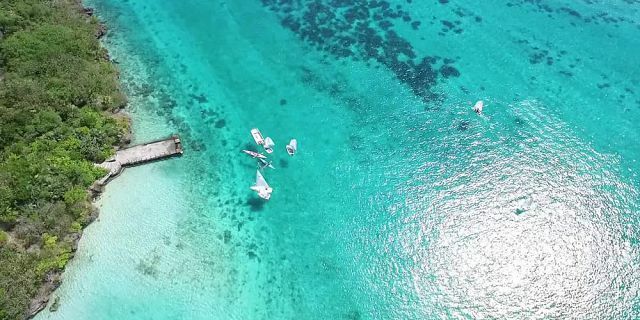 Route B is a 45 minute flight tour from airport where you will have the chance to discover the entire eastern coast of Mauritius and additionally explore the northern coastline. Fly over the historical village of Grand Port where you will be able to marvel at the green landscapes, followed by the majestic Lion Mountain. Subsequently set for the eastern coastal fishing villages and witness the wild natural beauty of this part of the island, where you can also see the isolated eastern islets including Ile aux Cerfs. The helicopter will afterwards set in the northern direction where you will have the chance to contemplate the turquoise blue ocean, green vegetation, mountains and hills, roads, and tiny houses from above. 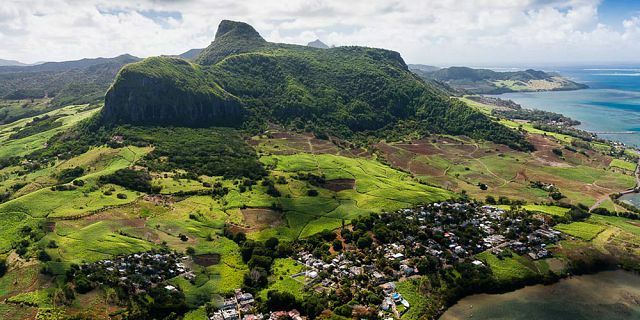 Fly over the bustling touristy village of Grand Bay, the capital city Port Louis with tall buildings, and not to mention the strikingly beautiful Pieter Both Mountain where you can find the many shades of green. Grand Port: A historical town situated in the South Eastern coast of Mauritius, where it is considered to be the first Dutch landing point during the colonial period. Blue Bay: The 353 hectares Marine Park is one of the most visited tourist attractions and serves as the best spot to snorkel. 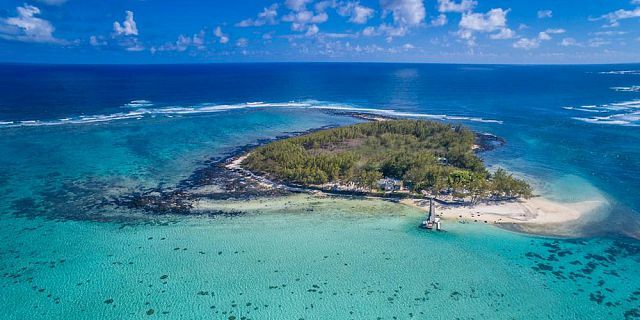 Ile aux Cerfs: The most visited islet of Mauritius is engulfed by turquoise blue water and caters many adventurous sea activities. 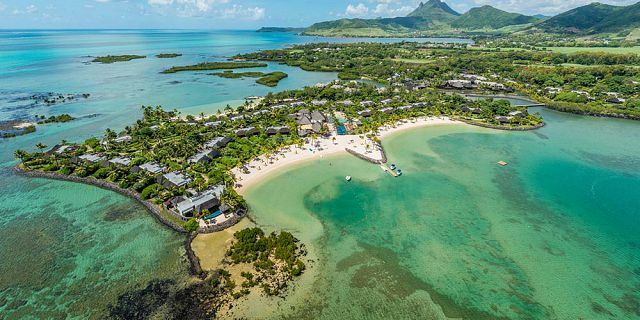 Grand Bay: This touristic coastal village is located in the North of Mauritius, renowned for its nightlife and adventurous sea activities. Port Louis: The capital city of Mauritius has many skyscrapers, and home to historical places such as the Aapravasi Ghat, La Citadel, Champ de Mars, and many other places. Pieter Both: The gigantic Pieter Both is the second highest mountain of Mauritius offering trekking trails for enthusiast climbers.